When a church started meeting next door to Sister Zhao’s house in China, she was furious. “I did everything I could to make it difficult for them,” she says. “He started to read the Bible to me. It changed my life and the life of my entire family! “I cannot express how thankful I am that my son picked up the Bible and read it. We became Christians, and today I am the church chef. My entire family is active in the church, and our grandchildren are also hearing about Jesus and they believe. God’s Word changes lives! Your generosity helps make it possible for people like Zhao in China to receive a Bible and experience God’s love for themselves. There’s a limited-time opportunity right now to provide 25,000 Bibles to spiritually hungry people in rural China – but only if the funding gap is met. 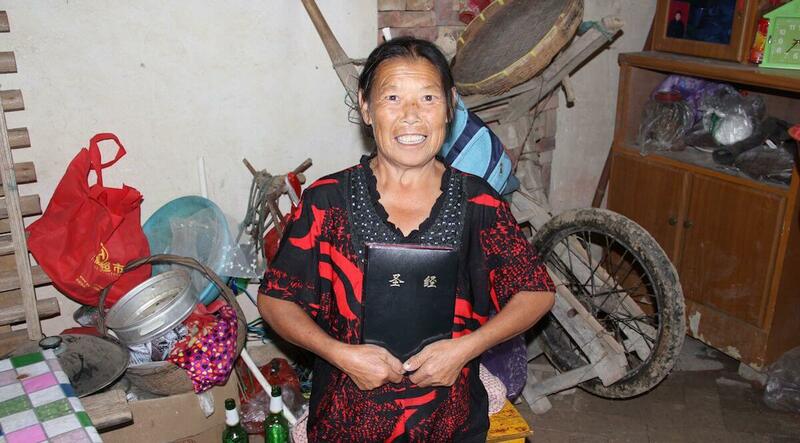 It costs just $6 to provide a Bible for one Chinese person… so please give generously! Invest the easy way… and get tax breaks!